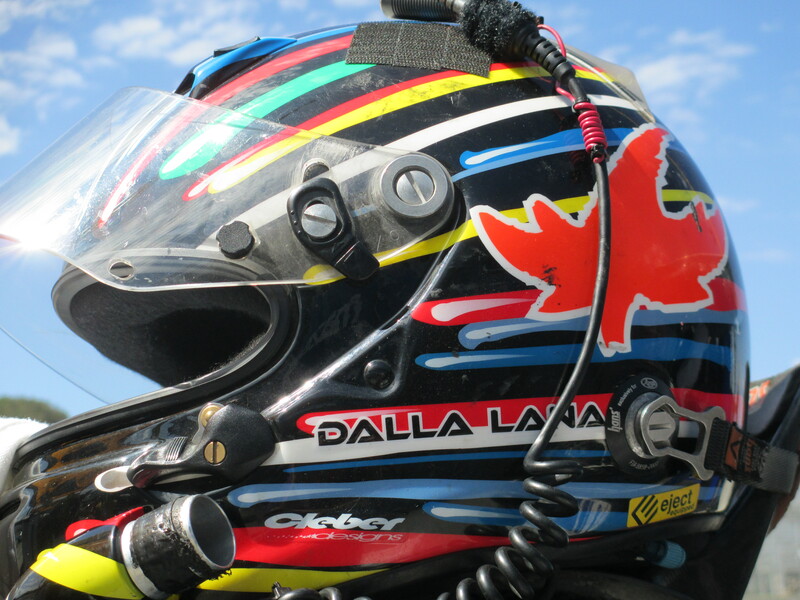 TO PIT OR NOT TO PIT – That must have been going through the minds of the No.99 GAINSCO/Bob Stallings Racing Corvette DP Sunday afternoon, while leading in the waning laps of the Rolex Sports Car Series race at Mazda Raceway Laguna Seca. To pit it had to be and the pole-sitting team of RICHARD WESTBROOK and ANTONIO GARCIA/No.90 Spirit of Daytona Racing Corvette DP took the lead and won the Continental Tire Sports Car Festival feature race. The Margin of Victory was.3.878 seconds. The Spirit team also turned the fastest race lap of 1:22.478/97.684 mph on Lap Four. The team earned its third victory, making it the only DP team with three wins this season. 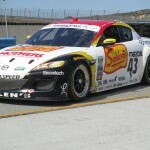 In the GT class, it was DANE CAMERON/No.43 Team Sahlen Mazda RX-8 who brought it home – co-driving with MATT BELL, just ahead of JEFF SEGAL and EMIL ASSENTATO/No.69 AIM Autosport Team Ferrari 458. Third in class were ANDY LALLY and JOHN POTTER/No.44 Magnus Racing Porsche GT3. 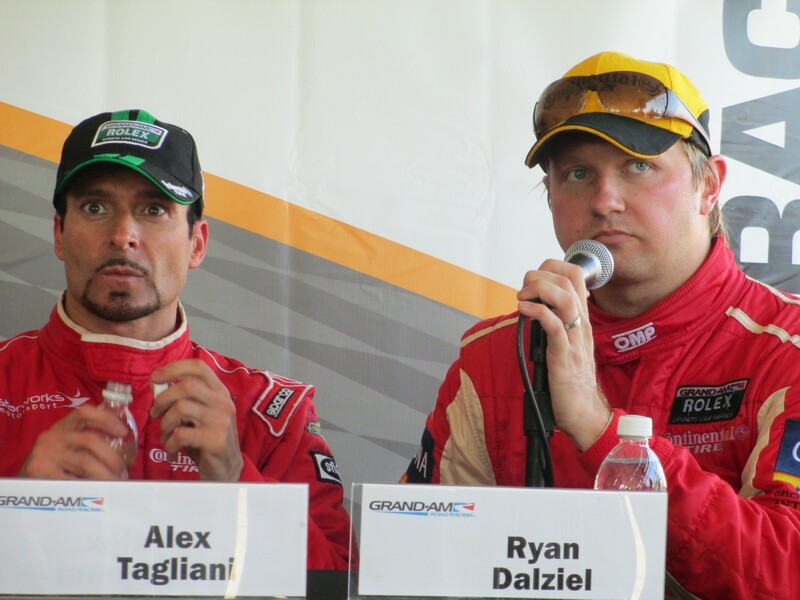 Dalziel was really pleased with his team. He had them take the car apart several times during the weekend, including right before the race. And they did. Tagliani agreed that it had been a struggle with the car all weekend, with the team working constantly on the car right up to race time. 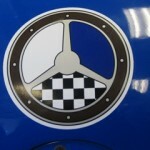 In comparing and contrasting open wheel indycars and sportscars, Tag said the last time he raced at Laguna Seca was in 2004, and the last test was in 2007. He did a 1:04 flat. The open wheel cars are faster, and require a different technique which takes getting used to. When asked about how was his race, Cameron said “I have no idea what happened. I was pretty nervous at the end that there might be a caution. I was hoping the Ferrari would have to pit and they did, so we got back the lead. Nonnamaker pointed out how competitive is the GT class, and was very proud of the team getting its first Rolex Series GT victory. 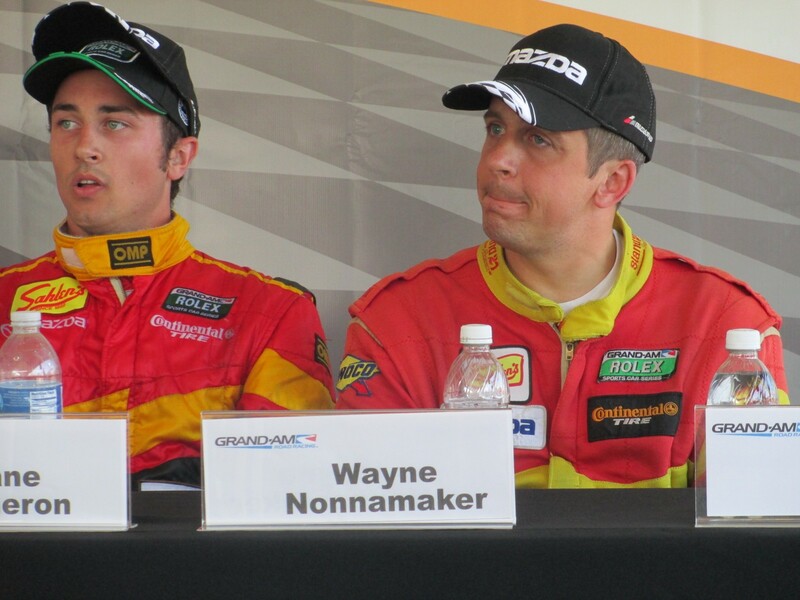 “Now we’ve won in every class of Grand-Am. 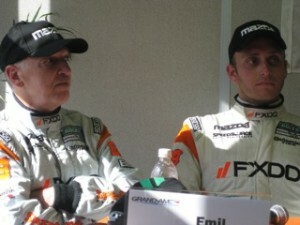 Segal and Assentato finished second in GT, but clinched the 2012 GT Championship, with one race remaining. Assentato said Laguna was a tough track and the GT’s were a competitive class. Segal said the race was more exciting than expected, with lots of tense moments. 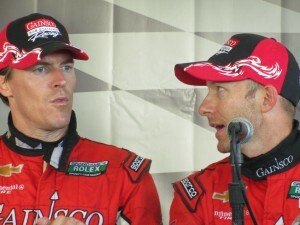 “It was a dog fight with Andy (Lally) and the 44 car at the end. It hasn’t hit me yet that we clinched the championship. I’m still thinking about the last few laps.” Segal didn’t eaxctly have on his happy face with those remarks, obviously referring to Lally’s remarks which came earlier in the media session – which starts with third place finisher, moving up to second and then to the winners. Lally admitted to tapping the Ferrari while going wide in the Corkscrew, hoping it would move him up the line for the finish. It didn’t. He pointed out it was his team’s fourth podium this year. Co-driver Potter said they had tire wear issues, but it paid off at the end. The concept to include fans in the paddock for the post-event media sessions was interesting, but is a work in progress. For the post-Rolex race interviews, the GT’s had to compete with the blaring of the DP Victory Circle festivities right next door, and the GT’s went up against the PA blaring and the Star Mazda race. Tag was the Time Monitor for the DP post-race media session, reminding folks that they had a minute 38 to get in their questions for the noisy Star Mazda cars raced. The race had but two cautions for eight of the 111 laps in the timed race, with Grand-Am records set for the fewest cautions and most laps at the Monterey road circuit. There were eight DP lead changes among seven drivers who led in six cars; and nine GT driver lead changes among seven drivers in six cars. The Rolex Series moves on to Lime Rock Park at the end of the month, for the season’s finale race. Another warm and sunny but breezy day at Mazda Raceway Laguna Seca for the Grand-Am Rolex Series feature race as part of the three-day Continental Tire Sports Car Festival. 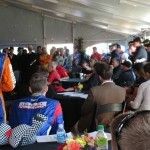 The drivers attended their obligatory meeting conducted by MARK RAFFAUF, Grand-Am Managing Director of Racing Operations. Extensive, detailed discussions covered starts, restarts, pitting, and other rules of the road. 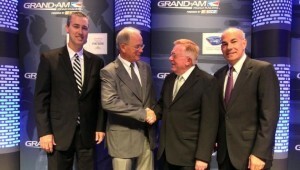 Grand-Am CEO, ED BENNETT spoke briefly,regarding the impending unification of Grand-am and the American Le Mans Series. He said he was excited; and that hardware and car classification will be first on the working timeline. Fans were everywhere, thronging the paddock and pit lane for the FanWalk. Saturday the fans had an hour-long autograph session with all the drivers in the official marque/tent in the central pack. Lots of photos taken, posing with drivers and cars, autographs signed, hero cards disbursed, and a good time was had by all. Lots of families with little kids getting perhaps their first exposure to racing. 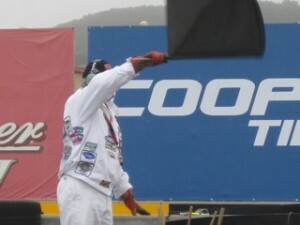 It was another example of American road racing being fan-friendly. 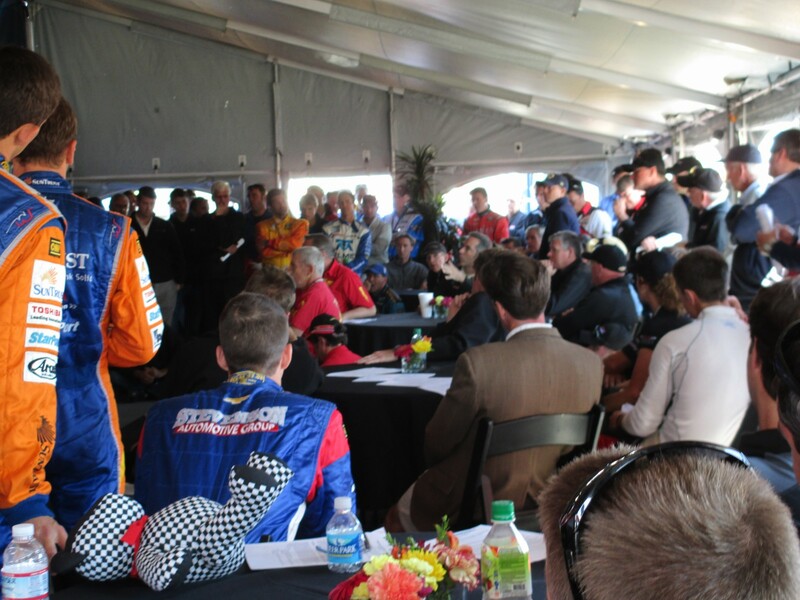 Another fan-friendly idea was tested Saturday by having driver-media interviews held in the marque tent so the fans could attend and ask questions after the media had their turn. It’s in need of a little tweeking, because of the timing and location. For the Rolex Series top Daytona Prototype qualifiers session, the drivers were competing with the noise from and attention on the GT qualifying. The GT drivers had better luck with no on-track activity with which to compete. Their press ‘conference’ went very well. Not quite so for the poor winners from the Continental Tire Sports Car Challenge race. They were already been worn out by their ‘race’ which seemed like a hockey game on wheels. The weary CTSCC drivers could only talk in short sentences, as the Star Mazda race was on, and the cars roared down the long front straight every 90 seconds. One CTSCC driver was timing his remarks accordingly. But, all in all, the open media session was a novel idea, and with help, could really help build fan support. Sunday’s Rolex Race starts at noon local time and will run two hours 45 minutes. It is the penultimate round of the 2012 season, with the finale at Lime Rock on 29 September 2012. RICHARD WESTBROOK of England has only qualified twice this year in the Grand American Rolex Sports Car Series and both times he’s garnered the pole in No.90 Spirit of Daytona Racing Corvette DP Daytona Prototype. This weekend at Mazda Raceway Laguna Seca, the Rolex Series is the feature race on Sunday of the three-day Continental Tire Sports Car Festival Powered by Mazda. Westbrook’s winning lap Saturday noon was 1:21.042/99.415 mph, the fastest time so far for the DP class. JON FOGARTY/No.99 GAINSCO/Bob Stallings Racing DP made it an all Corvette front row, close behind Westbrook’s time, at 1:21.213/99.206 mph. Laguna Seca could be considered his home track, as he grew up near the track. 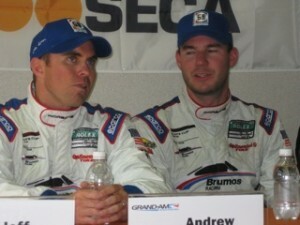 His co-driver is ALEX GURNEY of Southern California. 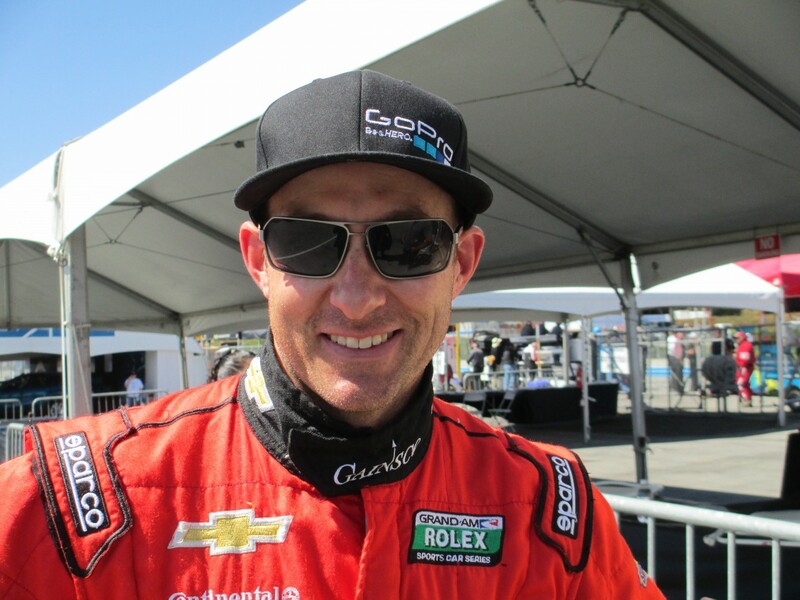 Westbrook hasn’t raced at Laguna Seca since 2008 in American Le Mans Series, but except for a bit more slipperiness, he finds the venue mostly unchanged. What he finds does change is the track itself during a session. The climate – wind, sun, clouds – changes, and then there’s the sand. Westbrook said it’s tough for the engineers to nail the setups. He loves coming to Laguna Seca, and finds the 2.238-mile elevated road course challenging and really enjoyable. 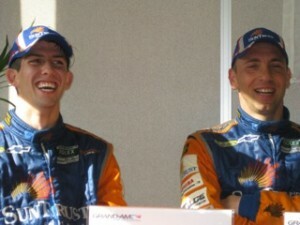 Westbrook’s co-driver is ANTONIO GARCIA of Spain. 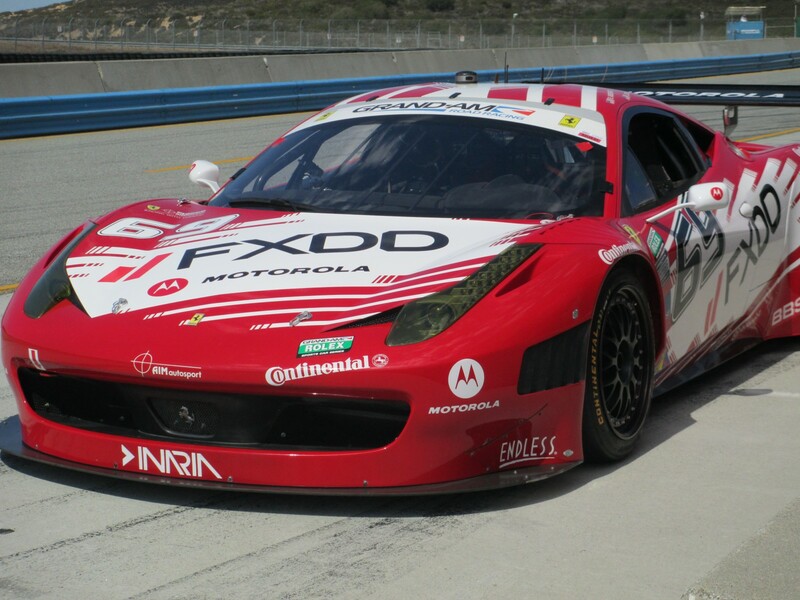 A real newbie took the Rolex Series GT pole – ALLESSANDRO BALZAN of Italy put No.63 Scuderia Corsa Ferrari 458 first in class at 1:27.594/91.979 mph. Thursday’s test day was his first-ever time in the car, first time in the series, first time at the track, first time on Continental tires, etc. 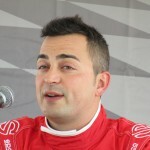 Balzan confessed he’s not sure how he’ll go for an hour’s stint as he’s used to his version of a sprint race – half hour. 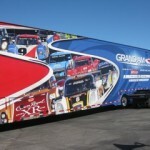 Grand-Am classifies Sundays two and a forty-five minute race as a ‘sprint’ race, compared to its six and 24 hour endurance races. 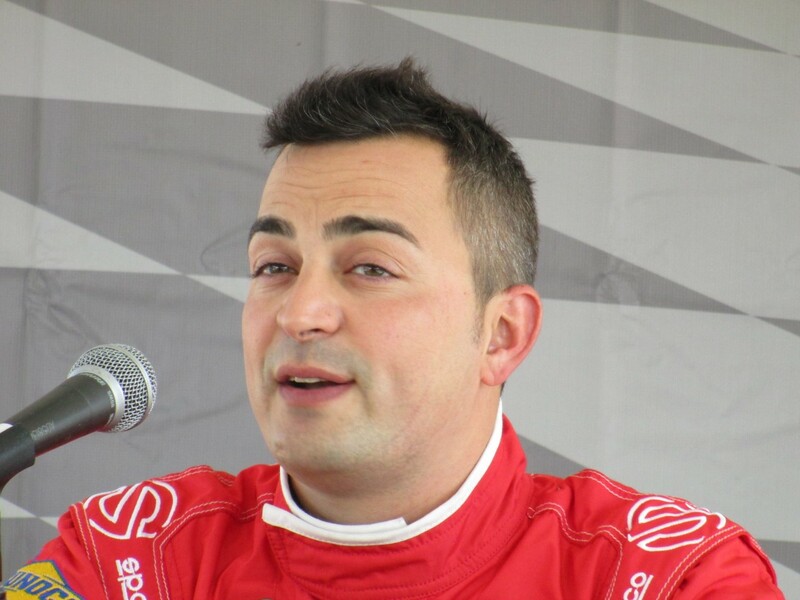 Balzan’s co-driver is veteran sports car racer, OLIVIER BERETTA of France. Joining Balzan on the GT front row will be ERIC FOSS/No.73 Horton Autosport Porsche GT3, with a lap of 1:27.857/91.704 mph. He has been coming to Laguna since childhood, and has raced four times at the track. 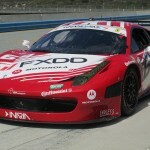 Both Balzan and Foss commented on the sand at Laguna Seca, something with which they’re not accustomed at other tracks. Foss finds the track to have low grip, and the elevation changes are tough. But he does rate it one of the Top Five race tracks in the United States. Balzan is having difficulty with braking points due to wind and track changes. It won’t be easy to save tires. He figures it will take ten to twenty minutes for the faster DP cars to start lapping. 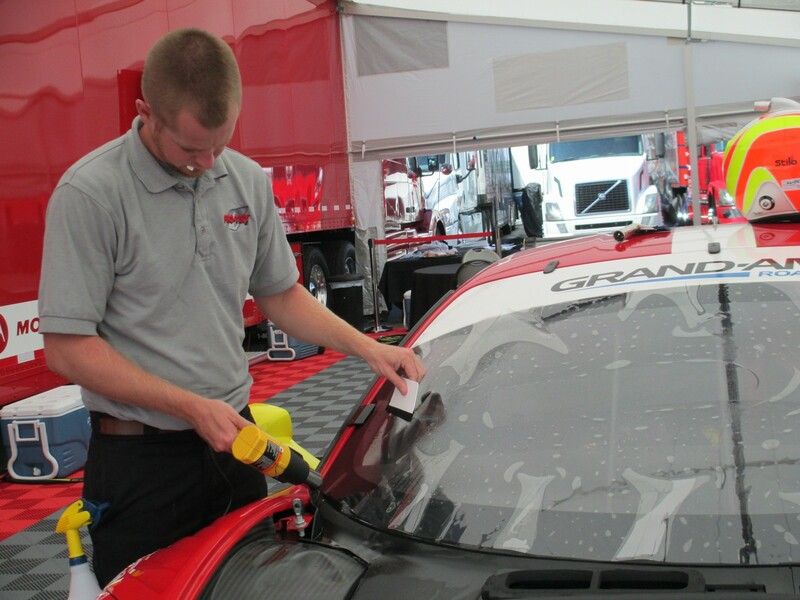 In Grand-Am, the qualifying driver must start the race. Often times the strategy is for the veteran drivers to finish the race. The groups of NASCAR folks I’d heard were going to be at the track Friday and Saturday must be under the radar, if indeed they are here. Not seen by me. 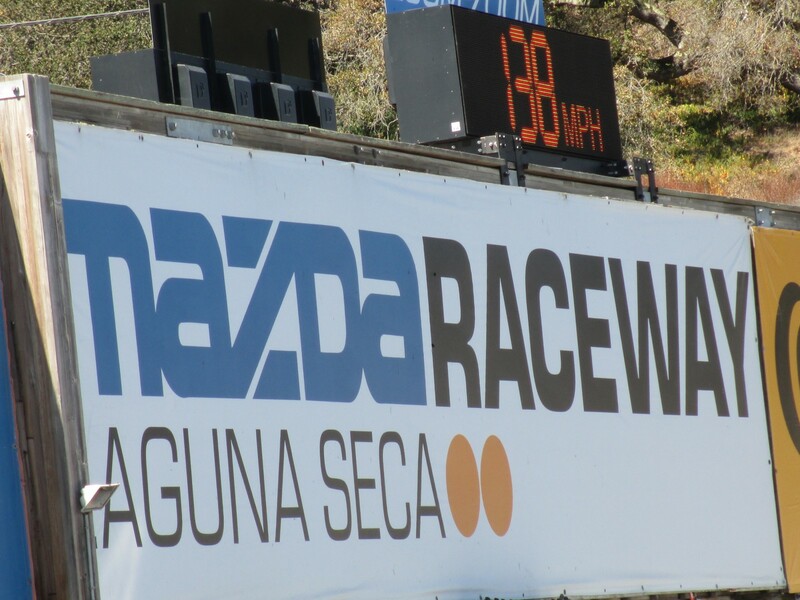 Another bright, sunny and cloudless day with warm temperatures at lovely Mazda Raceway Laguna Seca for the second of the three day Continental Tire Sports Car Festival Powered by Mazda. The Grand-Am Rolex Sports Car Series and the Continental Tire Sports Car Challenge have practice and qualifying all morning. RICHARD WESTBROOK/No.90 Spirit of Daytona Racing Daytona Prototype was the fastest Rolex Series car in the early morning combined practice. His time was 1:21.687/98.630 mph. Second fastest ALEX GURNEY/No.99 GAINSCO/Bob Stallings Racing DP is still the fastest overall at 1:21.285/99.118 mph set Friday afternoon. 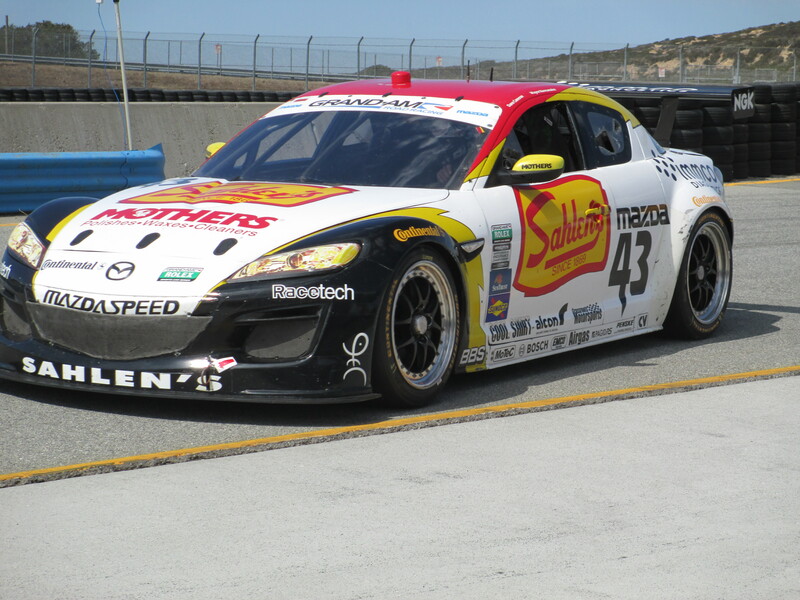 In the GT category, DANE CAMERON/No.43 Team Sahlen Mazda RX-8 was quickest with a lap of 1:28.007/91.547 mph. Fastest overall for the class is still JOHANNES van OVERBEEK/No.03 Extreme Speed Motorsports Ferrari 458, with his Friday morning time of 1:27.721/91.846 mph. After the combined practice, the JIM TRUEMAN and BOB AKIN class drivers had their own practice session. The short explanation is that these are Pro-Am drivers, named after late legendary drivers/owners. 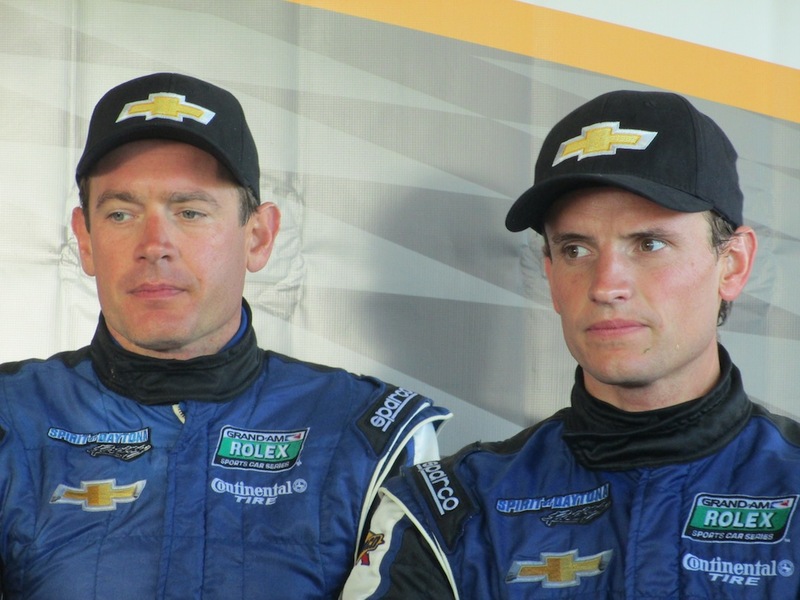 The Jim Truman driver award goes to a DP driver, while GT drivers vie for the Bob Akin award. These drivers cannot earn a living racing. In other words, they all have a day job. JOHN PEW/No.60 Michael Shank Racing with Curb-Agajanian Ford Riley was the fastest Jim Trueman driver. He won this award the past two years. JOHN POTTER/No.44 Magnus Racing Porsche GT3 took top time for the GT class, third overall of the 14 drivers on course. The CTSCC field is down to 58 with some changes. JACK ROUSH Jr. rolled his No.61 Roush Performance Mustang Boss GS in Turn Five, fracturing his left wrist. Roush flew home to Ann Arbor, MI and is scheduled for surgery Sunday morning. 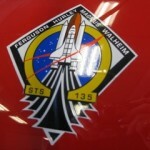 The team withdrew the entry. Roush’s co-driver was BILLY JOHNSON, who is also racing No.94 Turner Motorsports BMW M3 GT in the Rolex Series. 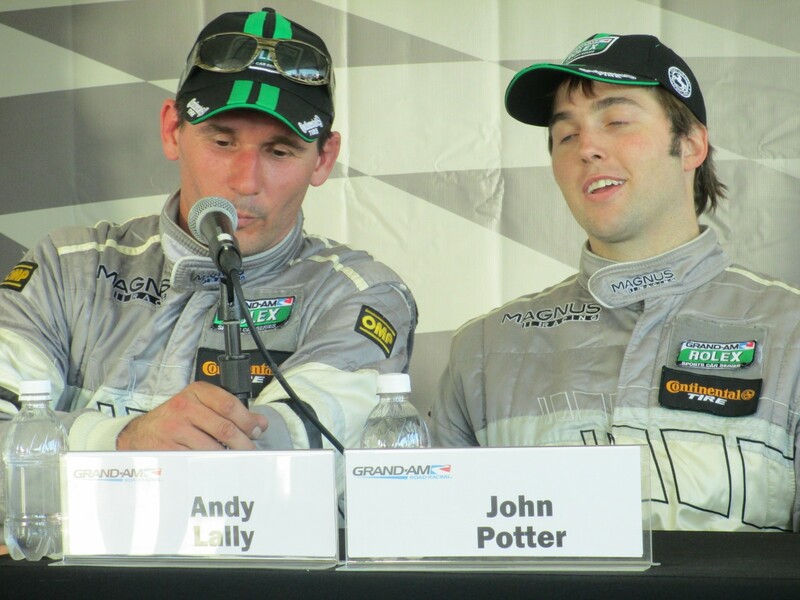 Johnson’s GT co-drivers are BILL AUBERLEN and PAUL DALLA LANA. In the morning CTSCC practice, the fastest car was No.38 BGB Motorsports Porsche Carrera GS with drivers TED BALLOU and SPENCER PUMPELLY. BILL AUBERLEN/No.96 Turner Motorsports BMW M3 GS is still the fastest overall CTSCC driver, having set his time Friday morning. NIC JONSSON and ANDY LALLY/No.10 Kinetic/Kia Kia Forte ST were fastest in the CTSCC ST Class and hold the fastest overall time, set Saturday morning. Qualifying comes after the practice sessions, and by lunchtime, all the Grand-Am classes will have qualified for their respective races. The CTSCC two hour thirty-minute race starts at 2:30pm local/PT time. The Rolex Series is the feature race on Sunday noon. It is a ‘sprint’ race of two hours and forty-five minutes. 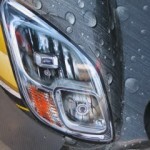 CALIFORNIA SECOND-GENERATION DRIVERS FRIDAY FASTEST • TIRES? Grand-Am Rolex Sports Car Series driver, ALEX GURNEY/No.99 GAINSCO Bob Stallings Racing Corvette Daytona Prototype, was the fastest driver overall Friday for the first of three days in the Continental Tires Sports Car Festival Powered by Mazda. Gurney turned a 1:21.285/99.118 mph. He was marginally faster than points leader SCOTT PRUETT/No.01 Chip Ganassi Racing with Felix Sabates BMW Riley DP, at 1:21.657/98.666 mph. Points leader Pruett had led the morning session. Third fastest in the afternoon was RYAN DALZIEL/No.8 Starworks Ford Riley DP. 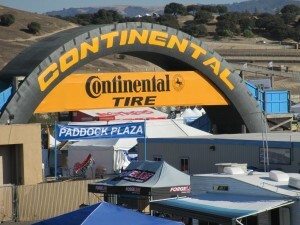 The Rolex Series is one of five groups running this weekend at Mazda Raceway Laguna Seca for the three-day Continental Tire Sports Car Festival. Seven of the ten Rolex Series DP drivers were fastest in the afternoon. Three teams had faster cars in the morning: No.90 Spirit of Daytona Racing Corvette DP, and No.5 and No.9 Action Express Corvette DP. In the GT Category, the top three fastest overall times were set in the morning. In the afternoon session, OLIVIER BERETTA/No.63 Scuderia Corsa Ferrari 458 was fastest at 1:28.031/91.522 mph, followed by EMIL ASSENTATO/No.69 AIM Autosport Ferrari 458-1:28.192/91.355 mph; and ERIC FOSS/No.73 Horton Autosport Porsche GT3 Cup. Foss is the nephew of BRUCE FOSS, Continental Tires Product Manager. While the radar gun screen on top of the Start-Finish bridge may show speeds upwards of 140 mph for the Rolex cars, that is for just the sector between the bridge and Turn One. The best overall time is for the 11-turn, 2.238-mile elevated road course. Fourth through tenth in the Rolex Series DP class were: COLIN BRAUN/No.7 Starworks Motorsport Ford Riley; MAX ANGELELLI/No.10 SunTrust Racing Corvette DP; JOHN PEW/No.60 Michael Shank Racing with Curb-Agajanian Ford Riley; ALEX POPOW/No.2 Starworks; PAUL TRACY/No.5 Action Express Racing; RICHARD WESTBROOK/No.90 Spirit of Daytona Racing Corvette DP; and DARREN LAW/No.9 Action Express Racing Corvette DP. 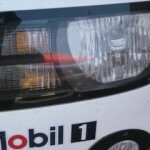 The GT category was hotly contested, with the top driver changing positions at least five times. The final fastest Friday afternoon driver was JOHANNES van OVERBEEK/No.03 Extreme Speed Motorsports Ferrari 458, followed by OLIVIER BERETTA/No.63 Scuderia Corsa Ferrari 458; and BILL AUBERLEN/No.94 Turner Motorsports. Other top GT drivers during the session were Beretta and teammate ALLESSANDRO BALZAN; DANE CAMERON & WAYNE NONNAMAKER/No.43 Team Sahlen Mazda RX-8; and ERIC FOSS/No.73Horton Autosport Porsche GT3 Cup. Foss is the nephew of BRUCE FOSS, Continental Tires Product Manager. 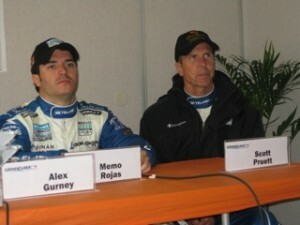 Gurney is the son of the legendary DAN GURNEY and comes from Irvin CA. 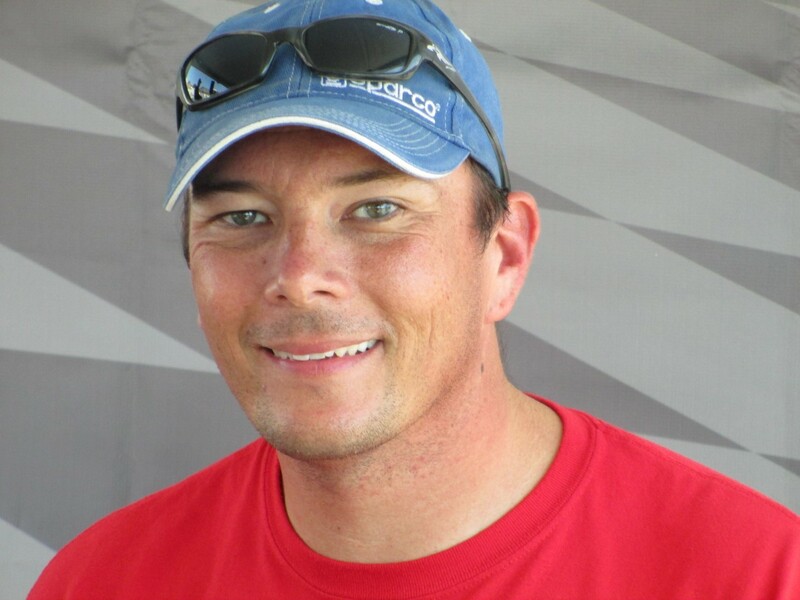 Van Overbeek comes from Oakland CA, and his father, NICHOLAS, races SCCA Club Racing and also vintage racing. Nicholas ran the recent Rolex Monterey Motorsports Reunion at Mazda Raceway Laguna Seca, with Johannes on site as crew and moral suport. 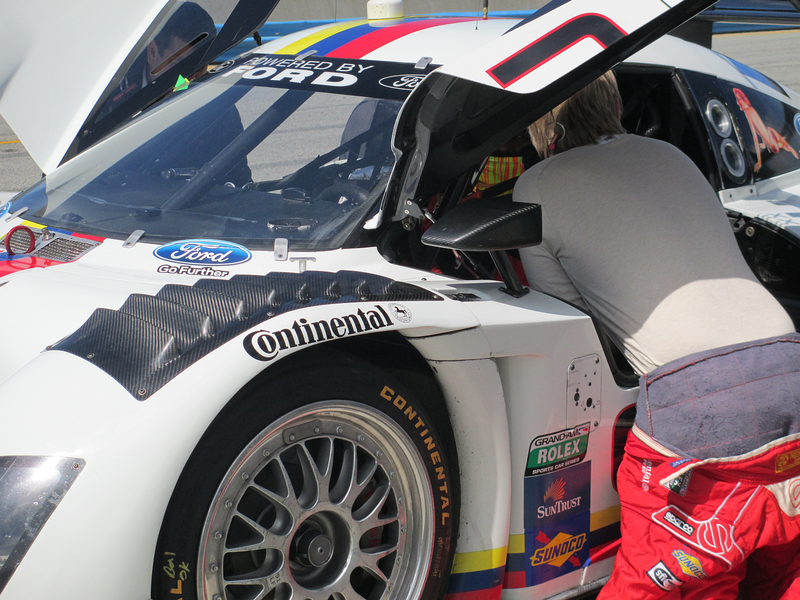 Tire manufacturers are one of the variables to be considered in the 2014 unified sports car series. American Le Mans has an open-tire policy, with four tire manufacturers – Dunlop, Falken, Michelin and Yokohama. 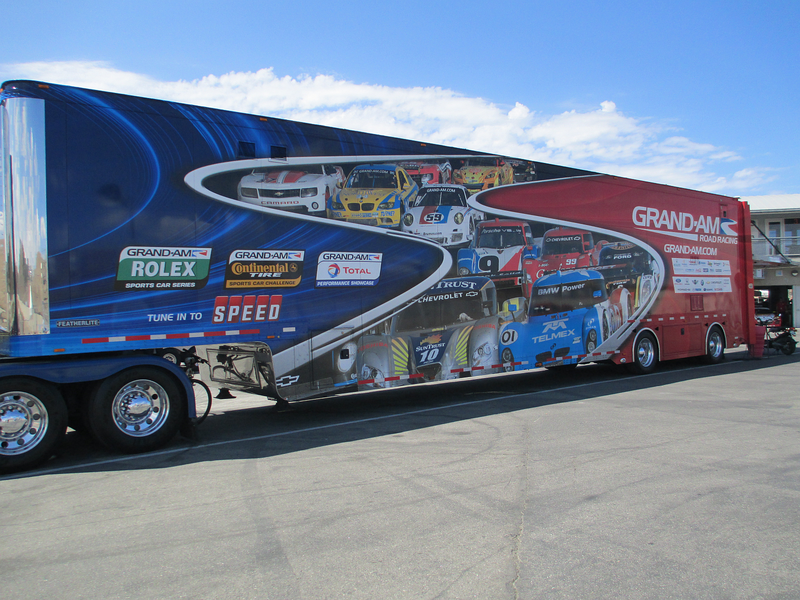 Grand-Am has Continental Tires for both the Rolex Sports Car Series and the Continental Tire Sports Car Challenge Series. BRUCE FOSS, the go-to tire guy in the Grand-Am Series, said the current contract is through 2013, with a two year extension option. Foss has no idea yet how this new series will shake out, tire wise; but said the next few months will be intense as he – and many others – think crucial components need to be in place before or by the start of the year. 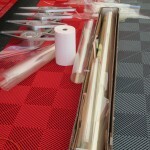 The Powers-To-Be at the Wednesday Sports Car Future announcement made reference to baseline testing next year with the two current series, which will run separately in 2013. 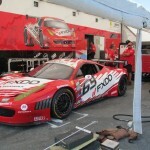 Foss thinks the 2013 Rolex 24 Hours of Daytona will be a good start for such tests. A beautiful sunny day greeted the race cars for the first of the three-day Continental Tire Sports Car Festival Powered by Mazdaa Presenting the Rolex Sports Car Series. The day is half over before you can say that. But no worries. All twenty-seven of the Rolex Sports Car series entries were on track Friday morning for their first practice, which included a split a combined hour long session, book-ended by thirty-minute sessions for each of the two classes – Daytona Prototypes and GT cars. Of course I know that RYAN DAZIEL is from Scotland, not Canada, as I reported yesterday. What was I thinking? Current points leaders SCOTT PRUETT No.01 Chip Ganassi Racing with Felix Sabates BMW Riley was the fastest DP for most of the time of the ten cars in the class. He co-drives with MEMO ROJAS. Pruett’s fastest lap was 1:21.836. All ten DP’s were faster than the 17 GT cars. MIKE HEDLUND & JOHANNES van OVERBEEK/No.03 Extreme Motorsports Ferrari 458 were fastest in that group, turning a 1:27.721. The order for the DP class second through tenth was: No.2 Starworks Motorsports Ford Riley; No.99 GAINSCO/Bob Stallings Racing Corvette DP; No.90 Spirit of Daytona Racing Corvette DP; No.7 Starworks Ford Riley; No.8 Starworks Ford Riley; No.5 Action Express Racing Corvette DP; No.60 Michael Shank Racing with Curb-Agajanian Ford Riley; No.10 SunTrust Racing Corvette DP; and No.9 Action Express Corvette DP. In the GT class, second through fifth were OLIVIER BERETTA and ALLESSANDRO BALZAN/No.63 Ferrari 458; BILL AUBERLEN, PAUL DALLA LANA, and BILLY JOHNSON/No.94 Turner Motorsports BMW M3. 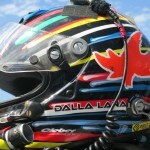 Auberlen and Dalla Lana are among several GRAND-AM double-duty drivers this weekend. They were fastest in the first practice for the Continental Tire Sports Car Challenge, driving No.96 Turner Motorsports BMW M3 in the GS Class. Their best time was 1:35.230. The team of GARETH NIXON and DAVID THILENIUS/No.76 Compass Honda Civic Si were the fastest in the ST class of the CTSCC group. Fifty-eight of the original 63 CTSCC entries were on track. 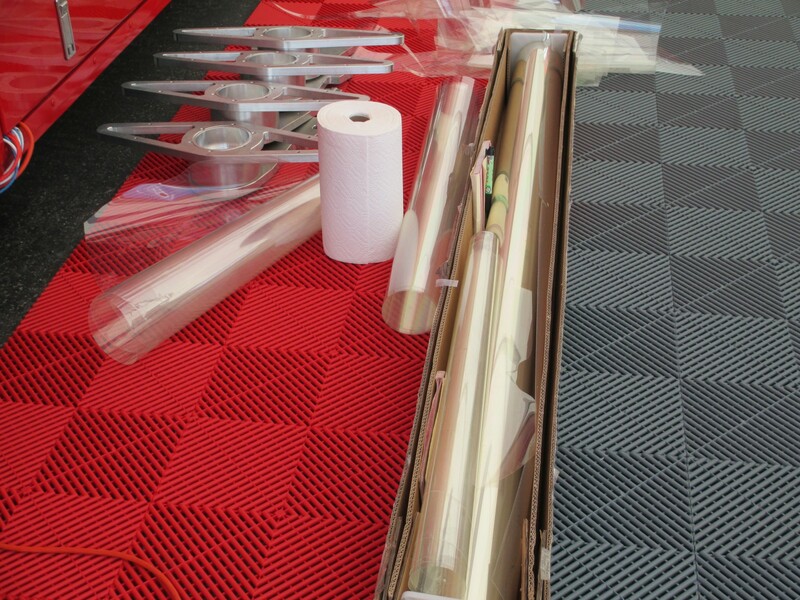 Lots of prep work goes into making the car track-ready, and one of the less publicized tasks is installing the windshield tear-off sheets. I watched the process Thursday for the ‘Off with the old and on with the new’ routine. 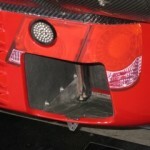 The car was No.63 Scuderia Corsa Ferrari 458. Sometimes it was a two-man job. 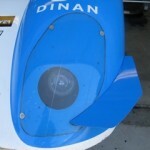 The windshield had to be properly cleaned and then sprayed to provide a wet surface for adherence, the tear sheet carefully applied, precisely cut to fit, and more spraying. Then the exacting task of fitting the sheet to the windshield, which involved a razor-sharp cutting edge, a squeegie-device and a heat gun. 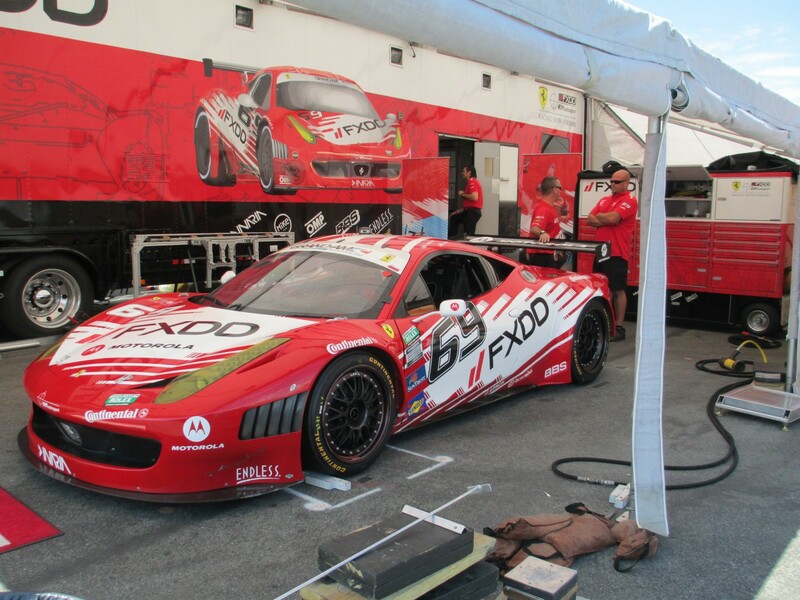 Thursday was a quiet day for the GRAND-AM promotors test day at Mazda Raceway Laguna Seca. There are five series running this weekend’s three-day Continental Tire Sports Car Festival Powered by Mazda. The feature event will be the Rolex Sports Car Series. That group, along with the Continental Tire Sports Car Challenge and the Star Mazda Series were all on track Thursday under the mostly blue skies. The weather was warm with a breeze and some fluffy white clouds. Wednesday night’s sunset was a stunner all over Northern California with lots of clouds covered in all shades and hues due to intermittent bits of hit and run inclement weather and thunderstorms. The other two series on the bill this weekend are the Total Performance Showcase and Superstars of Superkarts. The Rolex Sports Car Series has ten Daytona Prototypes and 17 GT cars, as of Thursday afternoon. There is one change on the Entry List. 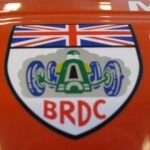 SEBASTIEN BOURDAIS of LeMans, France, was scheduled to drive one of the three Starworks Ford Riley DP cars, run by PETER BARON. 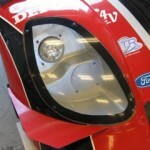 Bourdais had to cancel two days prior, due to still being too sore after his crash during the IndyCar race at Sonoma. Racing with IndyCar the following week in Baltimore was painful, and Seb is taking time off to rest up and heal. 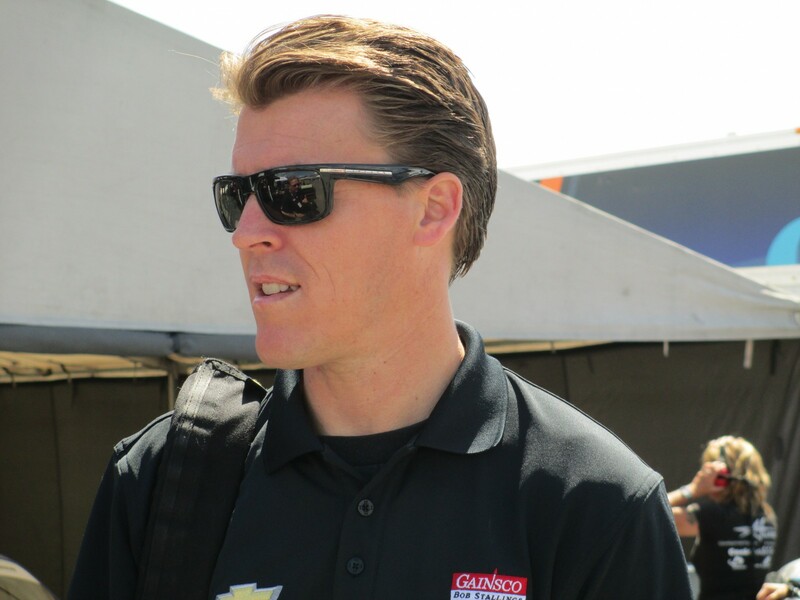 Rumor has it that SeeBass is going to stay with his current IndyCar team, Dragon Racing Chevrolet. The Starworks driver lineup has Canadian IndyCar driver ALEX TAGLIANI in two cars – No.2 with ALEX POPOW of Venezuela and also with RYAN DALZIEL of Scotland in No.8. 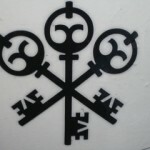 Tag can run in two cars, but only be scored in one car – the car in which he starts. For Sunday’s sprint race, Tag will start No.2 and run for thirty minutes, and then run with Daziel for the rest of the race in No.8. Popow was brought in at the last minute, as he’s already on site to run the Continental Tire Challenge in No.4 APR Motorsports Audi S4 Grand Sports. Popow has run with Starworks before. 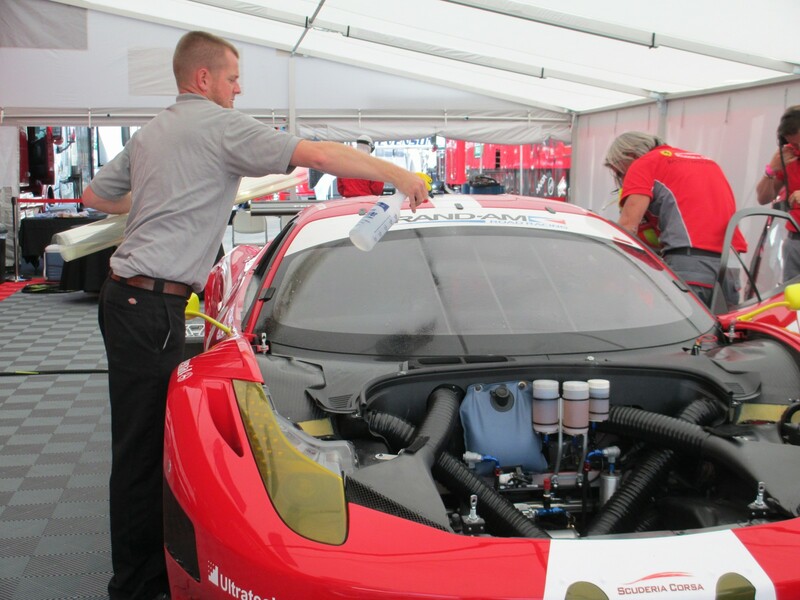 In his spare time, he also runs selected Ferrari Challenge races, and he’s pumped about getting to race at the United States Grand Prix in Austin TX. Popow also runs full-time in the American Le Mans Series and leads the points in the PC (Prototype Challenge) class. The sessions were mostly uneventful, with a few session-stoppers to tow cars, including SCOTT MAYER/No.7 Starworks. 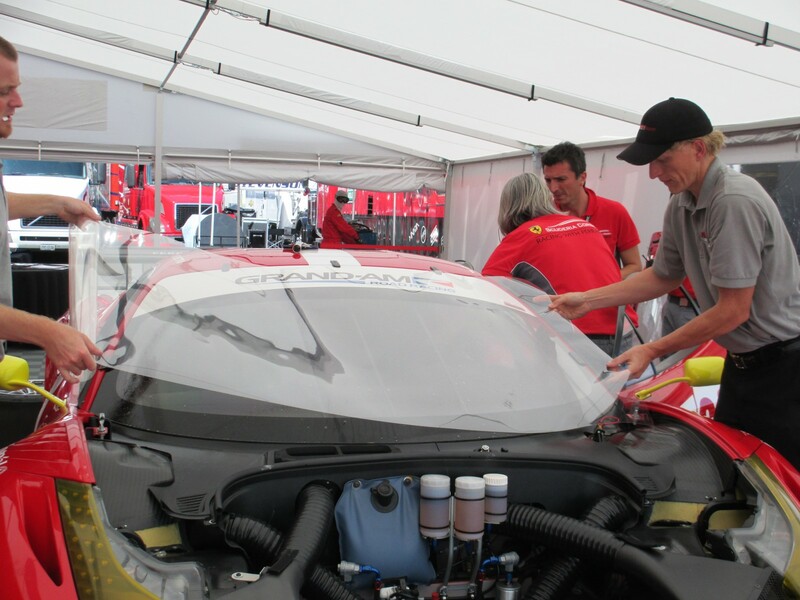 The car’s Chief Engineer, JEFF BRAUN, had to drop the floor of the car to remove the rocks. The car’s other driver is Jeff’s son, COLIN BRAUN. As it’s an unofficial test day, no times are recorded, but one can look at the scoring Trylon and see who was fastest. In the Rolex Series it was Michael Shank Racing with Curb-Agajanian Ford Riley in the DP class, and Turner Motorsport BMW3 in Grand Touring for the first of the two sessions. In the later session, it was Starworks, first No.2 who was then tipped by teammates in No.7 for fastest DP’s, and No.63 Scuderia Corsa Ferrari 458 in the GT category. Less than half of the 27 Rolex Series cars were on course. In the Continental Challenge Series, which has 63 entries, it wasn’t a full grid, but it certainly looked like it. 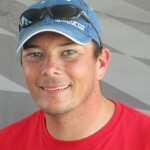 One of Dempsey Racing’s longtime Rolex Series drivers is CHARLES ESPENLAUB of FL. He’s racing No.41 with CHARLES PUTNAM of WY. 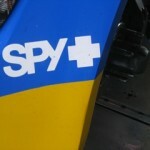 Espenlaub is also running in the Continental Challenge Series and was the fastest GS driver Thursday afternoon. The fastest afternoon GS Continental Challenge driver was MICHAEL GALATTI of OH. Friday’s full schedule calls for Practice for all five sessions and Quaifying for Star Mazda and Superkarts. JON FOGARTY, originally from the nearby Monterey County Area, and ALEX GURNEY of Southern California won on their home turf Saturday afternoon at Mazda Raceway Laguna Seca. They ran hard and fast in their No.99 GAINSCO/Bob Stallings Racing Chevrolet Riley Daytona Prototype in the Grand-Am Rolex Sports Car Series Presented by Crown Royal Cask No.16 race. 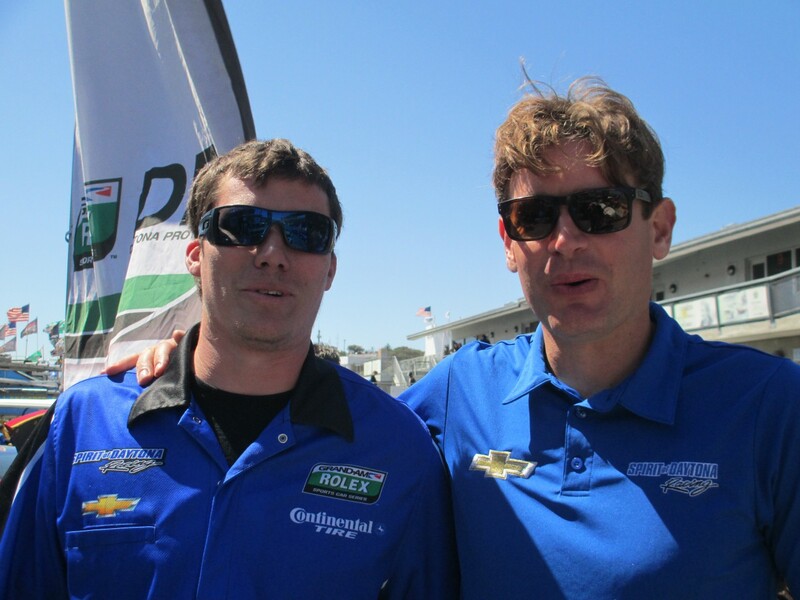 The California duo have two Grand-Am championships on their resume, in 2007 and in 2009, the last time Grand-Am ran at the world renowned road course. Gurney led once for 28 laps. It was the team’s first victory this season. They went from fifth to third in the DP standings. 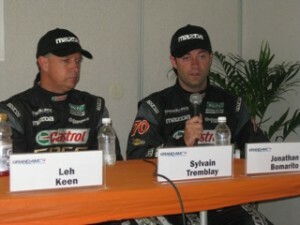 Second in DP and overall were points leaders SCOTT PRUETT and MEMO ROJAS/No.01 TELMEX BMW Riley. 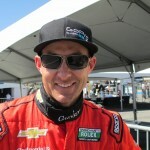 Laguna Seca is also the home track for Pruett, who hails from Northern California. Pruett made a special point to comment more than once at how pleasantly surprised he was at the great turnout for the race. He felt it was the best fan turnout ever for Grand-Am at Laguna Seca, sentiments echoed by the other podium drivers. GILL CAMPBELL, CEO/General Manager Mazda Raceway Laguna Seca, was all smiles after the race. While the track doesn’t release attendance figures, Campbell said “we doubled our race attendance” over previous events. Many of the podium drivers were also positively expressive about returning to the classic elevated road course after a year’s hiatus. First in GT and tenth overall was the Brumos Racing Team with Pole Sitters ANDREW DAVIS and LEH KEEN/No.59 Porsche GT3. They are now the points leaders. BILL LESTER and JORDAN TAYLOR/No.88 Autohaus Motorsports Camaro GT.R had been the GT points leaders, but finished nineteenth after starting twentieth. Laguna is the home track for Lester, who hails from Oakland CA. The Brumos Team led 47 laps, split almost equally between its two drivers. 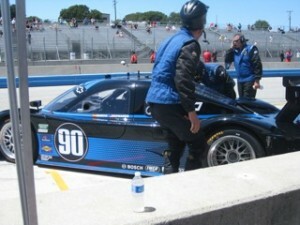 Keen also turned the fastest GT race lap at 1:29.601/89.919 mph. Second in GT were the SpeedSource Mazda drivers, JEFF SEGAL and EMIL ACCENTUATE. 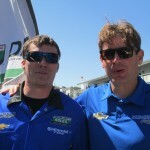 Third was their sister car with team owner SYLVAIN TREMBLAY and JONATHAN BOMARITO, from Monterey CA. He led for 49 laps, the most of any GT driver. ANTONIO GARCIA/No.90 Spirit of Daytona Chevrolet Coyote was the fastest DP driver, with a lap of1:21.030/99.430 mph, but he and co-driver PAUL EDWARDS finished twenty-first overall and tenth in class with 97 laps after the team had brake issues. Edwards also raced in the Continental Tire Sports Car Challenge race. Pruett and Rojas continue to dominate the DP driver standings, with 260 points each, 26 points ahead of Angelelli and Taylor. Third in the DP are Fogarty and Gurney. The Brumos drivers, Davis and Keen, lead the GT driver standings with 222 points each, ten ahead of Lester and Jordan Taylor. Third in class is PAUL DALLA LANA/No.94 Turner Motorsports BMw M3 with 207 points. 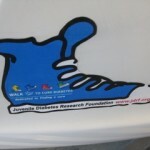 The next race will be the American Red Cross 250 race at New Jersey Motorsports Park on 24 July 2011. The Rolex series is sponsored by Crown Royal. It’s common knowledge that Crown Royal is reallocating its priorities in motorsports. MATT KENSETH/No.17 Roush Fenway Racing Ford is losing his Crown Royal sponsorship in his NASCAR Sprint Cup car. 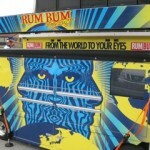 Regarding Crown Royal’s future with the Grand-Am Series, a NASCAR spokesman said “All such sponsor negotiations are ongoing; inappropriate to comment before that process is complete. Meanwhile, back at the ranch, garage gossip says Crown Royal will be the title sponsor for the NASCAR Sprint Cup Brickyard 400 race next weekend at Indianapolis Motor Speedway. The adult beverage company already sponsors the spring Cup race at Richmond International Raceway. Picture-perfect weather Saturday afternoon for the two Grand-Am races, the Continental Tire Sports Car Challenge and the Rolex Sports Car Series Presented by Crown Royal Cask No.16. Warm and sunny with a breeze off Monterey Bay which kept one alert. 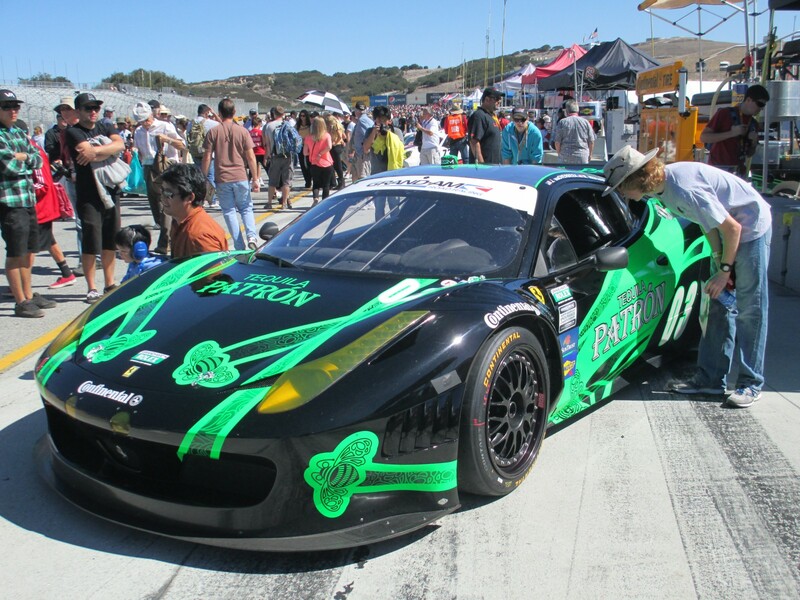 They were the last two races of the Continental Tire Sports Car Festival at Mazda Raceway Laguna Seca. The grid for the Rolex race seemed like a flash mob. It was jam packed, and then it was cleared for the start of pre-race ceremonies and the start. Choreographed chaos. I always find it to be a visual feast, with all the colors and designs, cars, uniforms, equipment and graphics everywhere. Sensory overload, and I mean that in a good way. 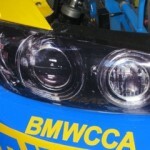 Speaking of graphics, many cars in many series now run decals instead of real headlights. In Grand-Am, there are rules. 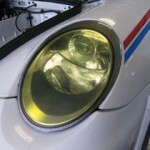 The Rolex Series cars must run the real headlights for a night race. 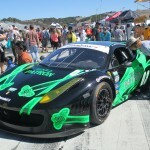 Laguna Seca’s two hour forty-minute minute ‘sprint’ race is not a night race. 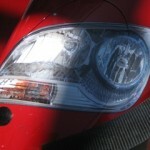 This means the cars are free to run decals instead of headlights. 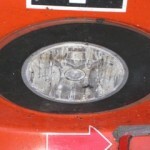 However, on the rear, the cars are required to have two tail lights. 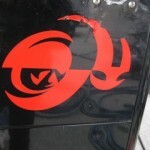 These can be surrounded by decals. Again, if it is a night race, they have to run tail lights. 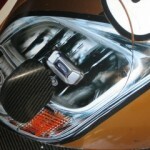 Production cars, a la GT class, must run real lights. 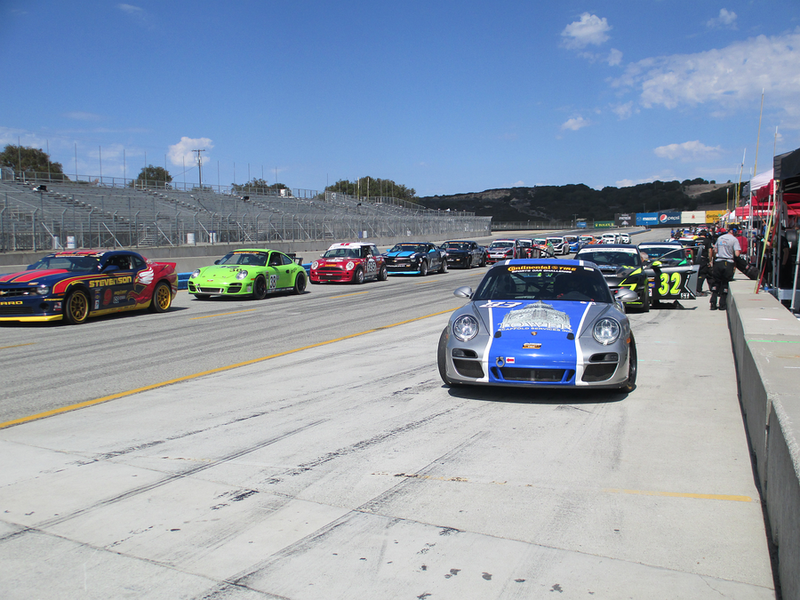 The Continental Tire Sports Car Series must run real lights all the time. Another thing I tracked down via Grand-Am/NASCAR was a comment I heard that Grand-Am races never run against a NASCAR Sprint Cup race. NASCAR now owns Grand-Am, so that makes sense. 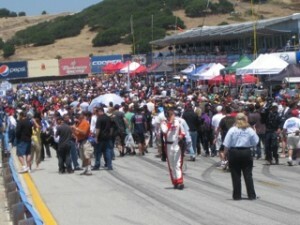 I was told by a Grand-Am official that “GRAND-AM doesn’t have a “policy” of not racing on Sundays to avoid Cup. Rather, our schedule is done in cooperation with our parent company NASCAR and our broadcast partner SPEED, to ensure the best scheduling possible for our fans and our business.” You heard it here first.